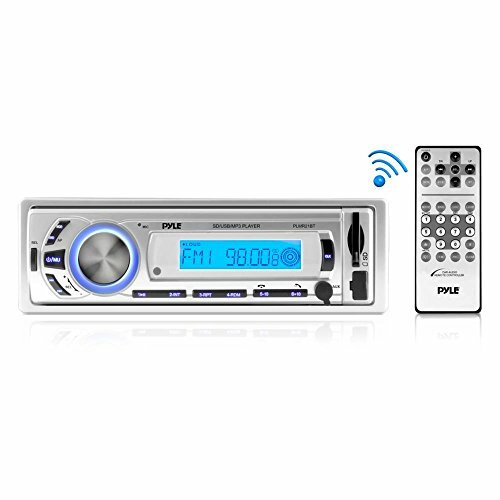 RECEIVER AND ANTENNA: The Pyle PLMR21BT Stereo Radio Headunit Receiver features Bluetooth wireless music streaming and hands-free calling ability. You will be able to instantly connect and stream audio files, along with the receiver doubling as your Smartphone. This Pyle Hydra series water-resistant antenna provides excellent radio reception wherever you are. This 22' cable works great on land or at sea for full AM/FM reception wherever it is available. 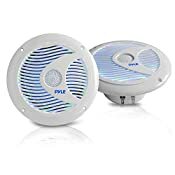 SPEAKERS AND WIRES: The Pyle Hydra Waterpoof 6.5'' Speakers feature built-in multi-color LED lights. Upgrade your audio by adding an exciting visual treat for your eyes as well as crisp stereo sounds for your ears. The system features an integrated remote control that allows you to program your lights. 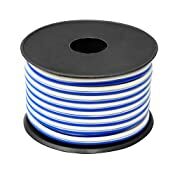 This Pyle Hydra speaker wire is water-resistant, so it's ideal for your marine installation. This wire is 18 gauge and a 50 ft. spool. 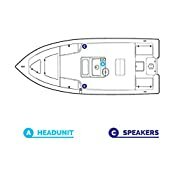 AMP AND INSTALL KIT: This Pyle Hydra amp will power your speakers on the dock, in your boat, or by the pool - it's completely waterproof. This 4-channel, 400-watt marine amp takes both high and low level inputs, so it's compatible with a variety of head units and sources. 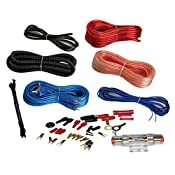 Get all the wires you need to hook up a new marine audio system with this Pyle Hydra amplifier installation kit. These wires have high resistance to moisture, so they're a great fit on your boat or in outdoor settings.